Although it may seem like some people are naturally gifted with the art of great writing, while others have to go through a lot of efforts in order for their writing to be considered as good; this is really not the case. It is true, though, that some people are slightly better at expressing their thoughts and finding their way with words than others, it doesn’t however mean that they would require to make any fewer efforts to become a great writer. All accomplished writers had to put a lot of time, efforts, and dedication into their writing to achieve that position. Writing is purely a form of art and like all other forms of art; it needs a lot of practice and time. While there is no easy or short way to dramatically improve your writing, we do have a list of some great writing tips for you that will help you immensely on your path to becoming a great writer. These tips are general in nature and are not restricted to any particular form or style of writing. So whether you’re a college student, a freelancer writer, or just passionate about writing; you will find these tips to be invaluable. 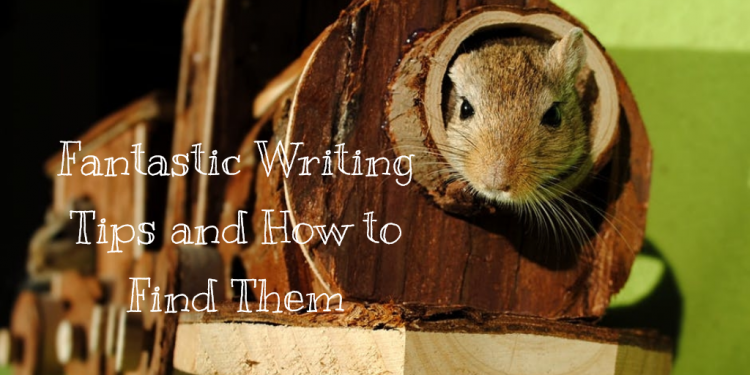 Without further ado, let us present you with these proven tips for great writing. You must have heard this one a lot, and that is simply because it really is one of the most effective tips to improve your writing skills. If you want to become a great writer, you must read the works of great writers. Read as often as you can, and pay close attention not only to the content but also to the style and mechanics those writers used. It will help you in understanding the elements that made those writings great. In order to improve your writing, you must begin writing! As simple as it may sound, it is actually one of the hardest parts about writing. To begin writing, you don’t need anything except a will to do so. Just think of a topic, grab a paper and pen or a laptop or whatever works for you; and just start writing. At this stage, don’t worry about how it looks. Just transform your thoughts into words and let them flow freely. It is one of the foremost things to do and the more often you do it, the more you will get used to writing. You will always find good writers to be great observers. They pay due attention to the people, places, and events in their surroundings to draw inspiration for their setting, plot, themes, and characters. Good compositions are always based, at least to some extent, on real life people, issues, and events. If you want to write something worthwhile, try to develop a habit of closely and keenly observing your surroundings. Connecting to the previous point, it is a good practice to keep a journal with you in order to note down all those great inspirations and ideas that cross your mind. Take notes about people, conversations, places, and events that you think might be useful for you to craft some great characters, setting, descriptions, dialogues, and themes for your content. It is especially useful for novice writers to ensure that they don’t lose any of their brilliant ideas. Crafting a good composition requires your undivided attention and concentration. If you are serious about improving your writing, it is best to find a spot where you can easily carry out your writing endeavors without any distraction. Writing is not an easy task in itself and any sort of distractions can make it harder for you to focus on writing. You need to find yourself a silent and serene place to sit down and write. Wait, doesn’t this negate the second tip in this list that says just start writing? Well actually, it doesn’t. By planning, we don’t mean that you are to sit down for hours and plan the entire piece in your mind, but just to do a bit of brainstorming to generate ideas, and plan out the structure and layout of your composition. Basically, it is just like making an outline in your mind where you determine what aspects and features of your topic you will be writing about, and in what order. It is needless to say that you should have a strong command over grammar if you wish to craft effective and meaningful writings. Having poor grammar in your writing can have adverse effects on your readers even if it has some great expressions or ideas. A good writer not only knows the rules of grammar inside out, but he also knows when he can effectively break those rules and get away with it. You don’t necessarily need to have a grand topic or a large audience in order to start and run a blog. The point here is to simply get you started with writing. Your blog can be pretty much about any topic that you can think of. You can even share your ideas and experiences as a new writer. If you happen to have a few readers, it is very likely that you’ll be receiving direct feedback from them about your blog and it will help you determine how well you are doing as a writer, and possibly the areas that you should focus on improving. If you fail to find such a group in your surroundings and acquaintances, don’t worry because there are thousands of such groups and communities online that you can join. Being a part of such a group will immensely help you in progressing fast and in a meaningful direction as you’ll be learning from the experiences of others, and will likely be able to avoid any mistakes they made in their pursuit to become good writers. Writing is a skill and like any other skill; you need a lot of practice to excel at it. Writing can seem difficult and tedious at first but the more you practice it, the more you’ll get better at it. Try to write something daily, and if possible, do it several times a day. It is a good idea to find a certain time of the day when you can write without any disturbance, and make it a routine to sit down and write at that time every day. Writing is certainly not something easy as it takes a good deal of mental energy, and at times, can exhaust your working memory. This holds particularly true if you’re in the beginning stages of your writing endeavors. On such occasions, you will find yourself get very easily distracted by the TV, internet, or anything else. It is a bit difficult in the beginning but with a little time and patience, you will easily learn how to cope with this and not lose your focus. In time, you will learn when to take a well-deserved break, and when to push yourself to keep on going. This is one of the most effective and proven ways to improve your writing skills in a comparatively short time. Fortunately, the internet is loaded with hundreds of thousands of such exercises that you can download and practice with for free. Practicing with these exercises lets you explore and experiment with a variety of forms, techniques, and styles of writing. Spotting and fixing your own mistakes is not always easy, but it is crucial to develop good writing skills. Initially, you just focus on writing down your thoughts and proofreading comes at a fairly later stage, but it’s an important step nonetheless. Once you’re done with writing, take some time off, ideally a day or two, and then return to your piece to examine it for sentence construction, parallel structure, spelling mistakes, and the overall unity and flow of the text. It is needless to say that you need to have strong grammar skills for effective proofreading. After you’re done, it is better to get it proofread by someone else to ensure you didn’t miss anything out. While it may seem tempting to use uncommon words and flowery language in your writing, you should avoid doing so by all means. A distinguishing characteristic of good writing is that it’s always concise and simple. Avoid using unnecessarily longer sentences, and try to express yourself effectively in as fewer words as possible. The beginning and end of your texts are very important, especially the beginning. If you don’t grab the reader’s attention and interest in the start, it is not likely that they will read your text, at least not with any interest. Always try to have a strong start that makes the reader want to read more. You can start with a quote, an anecdote, an interesting statistic, or even a thought-provoking question. This list of writing tips was crafted after thorough research on the suggestions, biographies, and interviews of numerous accomplished and successful writers; where they shared the obstacles they faced during their initial writing period and the ways in which they overcame those obstacles. Regardless of the form of writing you’re interested in and the purpose of your writing, incorporating these tips into your writing will help you improve your writing to a great extent.